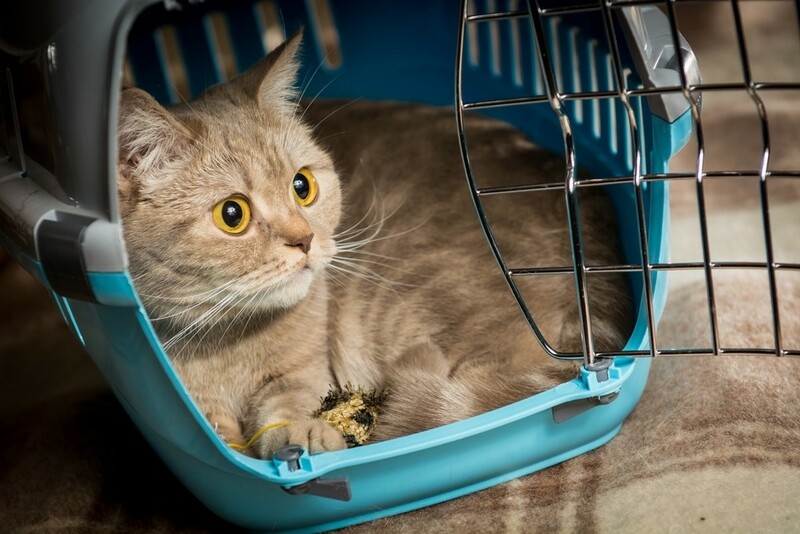 Don’t Let Traveling With Pets Be a Hassle! June 2nd, 2017 by Chloe L.
Traveling with pets in the car can be a hassle. You want to keep them safe, happy, and calm. Some pets are great in the car, but others get car sick or anxious, or just can’t sit still. With that being said, we have some tips and accessories to save you the hassle next time you are traveling with your animal. Keep them as contained as possible. We know this sounds harsh, but this is the best thing for you and the animal. If they are not contained and there is an accident or sudden stop, they can fly forward and get injured. Also, cats or small dogs can be distracting by getting in your lap or down by the pedals and that is risky. To prevent your pet from roaming around, consider a doggie seat belt (yes they exist), a gate that puts a barrier between the front and back seats, or a crate or carrier they can stay in while you are driving. Make sure they stay calm. For some anxious animals this is easier said than done. However, if your dog (or cat) is anxious in the car, there are calming treats that are healthy for them and allow them to relax. Or, check with your vet and see if they have any over the counter or prescription medicines that might help your animal. Bring a “doggy” bag for your animal! Bring a special bag for your dog or cat that includes toys, treats, food, water, easy foldable water/food bowls, and anything else your buddy needs to stay healthy, safe and entertained. The cleaner the car the better, right? No one likes to clean out dog hair from their car! It goes all over and can be hard to remove. Therefore (depending on your seat belt/containing method) bring a towel, investing in seat covers and/or invest in a portable car vacuum. Follow us on Facebook and Twitter for more tips and tricks like these! If you are in need of a new car for your road trips with your pet, check out our large inventory at Driver’s Auto Mart here. 0 comment(s) so far on Don’t Let Traveling With Pets Be a Hassle!